It's Time to Give Back! Explore New Grounds with Old Friends! Camp Timber Tops has shaped the lives of our oldest campers; it's their turn to share with others. Camp Timber Tops 11th graders spend their final summer of camp with lifelong friends in and outside of Greeley, Pennsylvania. Our outstanding 11th Grade Leadership Program has evolved into an exceptional three-camp opportunity, allowing eleventh-graders from Camp Timber Tops, Lake Owego Camp, and Pine Forest Camp to engage in an incredible service-learning program in Costa Rica while still experiencing the highlights of girls summer camp life. In Costa Rica, our campers plan and implement a camp for Costa Rican children where they act as staff. During their time in the United States, and as a complement to girls' leadership camp activities, 11th-graders visit numerous college and university campuses in preparation for their upcoming college search. What's the best part? Meeting new people! Spending time with old friends! Touring college campuses! Seeing shows! Exploring new cities! Traveling to Costa Rica! Sharing the joys of camp with others! Making it back to Greeley, PA in time for banquet! 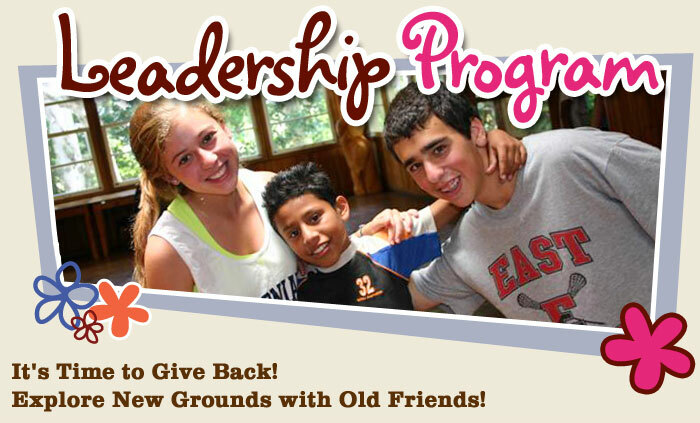 The 11th Grade Leadership Program is an exciting way of giving back to the community, both globally and locally. We at camp also see it as a fundamental steppingstone into the role of Timber Tops counselor.